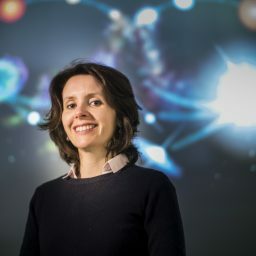 Elisa Costantini (SRON Netherlands Institute for Space Research), "Exploring the realm of an active galactic nucleus through high resolution X-ray spectroscopy"
The X-ray emission and absorption spectrum of an AGN carry the signature of different regions of the black hole environment. High resolution X-ray spectroscopy, with present and future instruments, has an enormous diagnostic power in studying the chemistry, kinematics and geometry of the plasma that is either accreting or ejected from the central source. In this talk I will present some of our recent results on outflows and obscuration.